Using our websites innovative home search tool will provide you with all the newest information regarding Wylie homes for sale. Wylie is a city in Dallas, Collin and Rockwall Counties. Both Lake Lavon and Lake Ray Hubbard are within easy reach of the city and because of that Wylie is nicknamed "The City Between the Lakes". 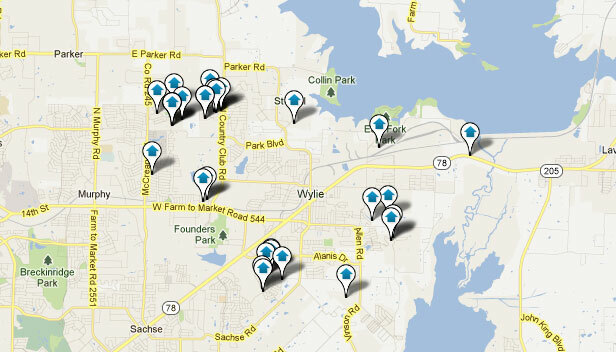 Most of the Collin County portion of Wylie is served by Wylie Independent School District (WISD). A minuscule portion in Collin County is served by Princeton Independent School District (PISD). The Dallas County portion is served by Garland Independent School District (GISD). The Rockwall County portion is served by Rockwall Independent School District (RISD). Wylie offers affordable housing and an attractive community experience. Contact an experienced Wylie REALTOR today at The Todd Tramonte Home Selling Team to begin your search for a great Wylie home. Thinking about Relocating/Moving to Wylie, TX? Listing courtesy of Help-U-Sell Sims Realty.